A good logger knows there is far more to the job than cutting trees and hauling them away. Our crews start with walking the land and learning the local environment. Following this survey, they arrange for a timber cruise by one of the regional experts to confirm their observations and to develop the highest and best use plan for the harvest. 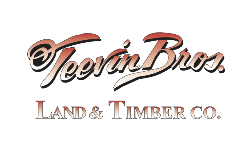 Like all Teevin Bros. operations, our loggers look to the most efficient and less intrusive system to harvest the timber. For large tracts, we offer tower yarder operations that keep our footprint small while maximizing timber recovery. This efficient method of harvest allows us to be quick in and out, meeting the owner’s desire to reach certain timber markets at peak times. For smaller jobs or where the environment requires, our shovel loggers are adept at retrieving the timber and quickly getting it to market. Our crews have earned a great reputation for efficiency and high percentage of recovery. While there will always be some clear cutting, often times forestry practices require thinning or strategic cutting. We enjoy these jobs for the challenge and the opportunity to make a difference. Post-harvest, we brush pile and rake, preparing the forest for the next crop. For every tree cut, we replant twenty trees, ensuring timberlands remain fruitful. Following harvest there is a resurgence of wildlife enjoying the open areas and the diversity of emerging plants, shrubs and trees. We adhere to the silviculturist’s call for creating diverse forests with a broad spectrum of indigenous species. Coming from a community where the local school mascot is a Logger, our people are proud of their heritage and their close association with the earth.